In this article we'll look at the pen drive write protected error problem and its solution. 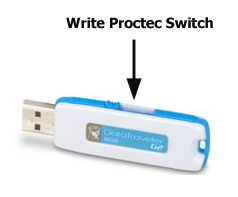 Sometimes due to some unknown reasons, the pen drive shows the write protection error message when you plug in the pen drive to your computer device and try to some files or folder from it. Through this error problem you're unable to read/access their stored data. Don't be in a panic about this critical situation - from this informative post I will explain some procedures. 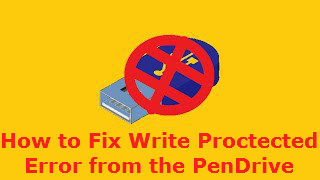 Procedure to Fix Kingston Pen Drive Write Protected Error Problem. Sometime when you used pen drive to computer and it already infected by a virus that is 100% possibility your USB drive is infected by Trojans or other types of virus. So it's required to scan pen drive by using antivirus software. By using antivirus setting you can also set the automatic scanning process when USB drive plugged to computer, if you not set the auto scanning task then you can scan pen drive manually. Once the scanning process is done, if it shows infected part or file then fix it. After performing this procedure, if this problem is present then moves on second process. 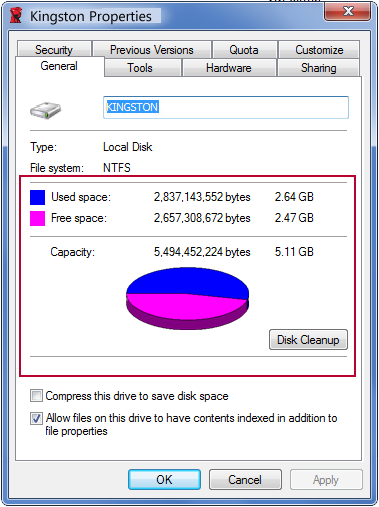 Some Kingston pen drives have an automatic switch on the right side and many time pen drive users lock their USB drive. So you need to check if it's locked then you need to unlocked pen drive. After unlocked, you will be solved the write protected error problem. If Kingston pen drive is fully loaded that is one case you receive the write protected error problem. So check the used or unused space of pen drive. Go to drive icon and right click on it, choose the "Properties" option where you can get the complete drive information like free space or used space with pie chart or bytes or MB size volume. If it fully loaded, then you need to delete some files from it. 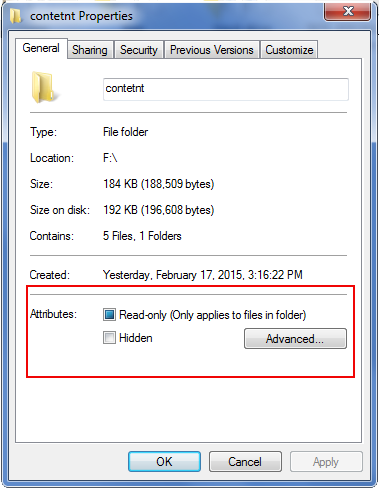 Sometime for the security purpose users allow the read-only option of their files. So you need to verify it, select any file which is stored in USB drive and right click on the selected file go to properties option and now properties window appeared on screen. From the bottom of this window you can see the "Attributes" feature, check the "Read-Only" option if its mark with right arrow symbol then its need to unmark it by clicking on the box. Click on "Start" button go to "Run" window from here type "cmd" and enter now DOS command shell will appear on your screen. 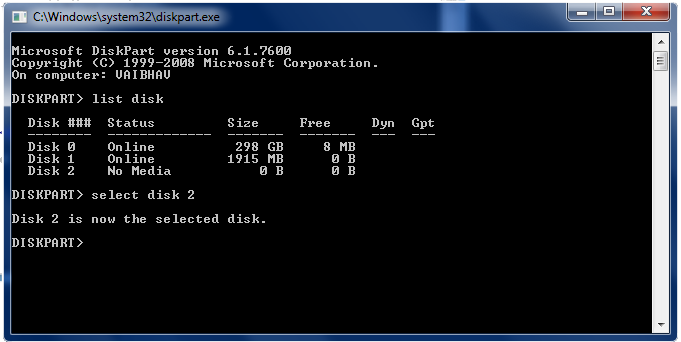 *Type "list disk" and enter, now you can see presented disk list. 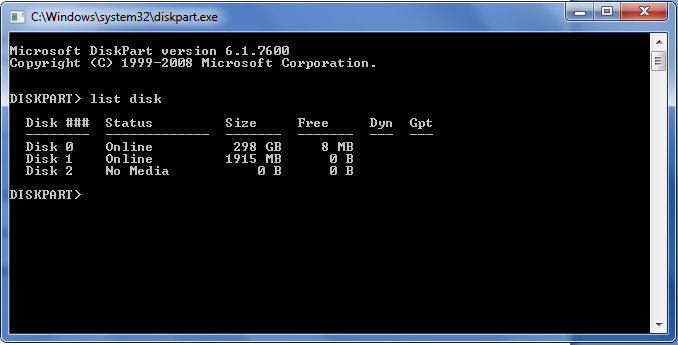 Verify your disk from listed table; if it's not showing your drive, then it's not helpful for you. If it listed here now note beside the number. Once this task is done, then type exit and enter. 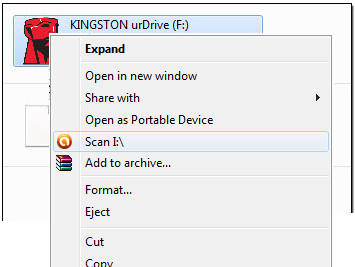 Open "Run" window and type "regedit" then OK.
Now select it >> right click on it and choose modify..
Now Edit DWORD value window will be appear, if here you're seeing value data 1.1 that means you Kingston pen drive is Write protected. You can fix it by changing the 1.1 numbers, replace 1.1 digit number with 0 numbers because 0 number is indicate "Don't Write protected my pen drive". Once you change the number then click on OK and exit from the registry windows and also remove the pen drive from the computer. Now time to once again insert the USB drive. 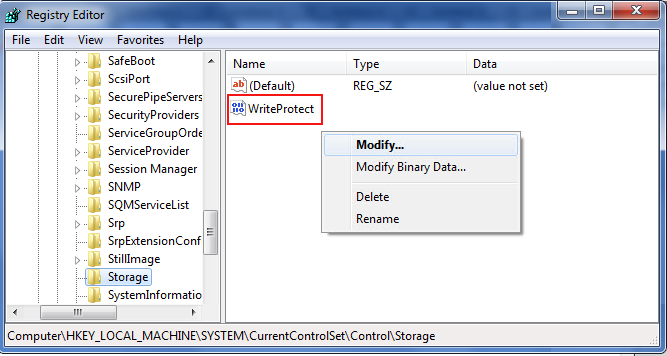 Note: If the Write protection error problem is still present then last option is left that is formatted procedure. If you format your pen drive then you fix the write protection error problem from the pen drive and you can successfully work with your USB drive. But if you format their pen drive you lost their all stored data from it and you cannot recover lost data. 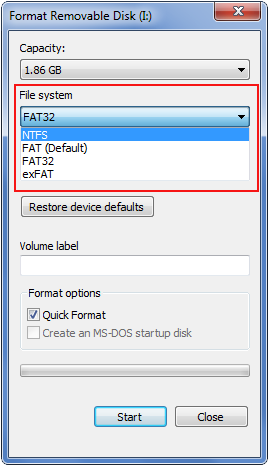 Select your pen drive icon and right click and choose format option, you can format their pen drive by using any type of file system dynamic disk volume such as: NTFS, FAT (default), FAT32 or exFAT. Conclusion: In this tutorial we got several procedures that how to fix pen drive write protected error problem. These above mentioned processes helps to overcome this problem in the end if you don't get the positive result or after formatting pen drive you lost their data and then there is no one any manual process to get data back from formatted pen drive.